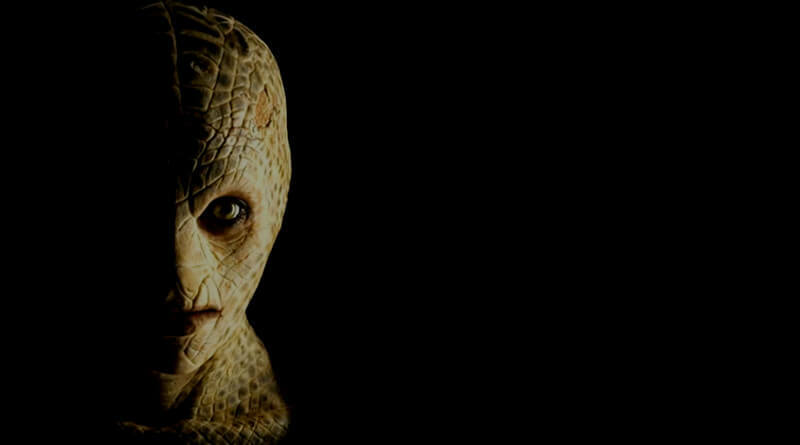 Home » The Reptilians: more than a conspiracy theory? We know, we know. This is where many draw the line. Reptilians are a controversial subject. We will now search the Legends of lizard people, statues depicting strange creatures and underground caves said to be home to serpent gods. Throughout history, there have been stories of beings half-human, half-reptile. Could they be more than mere fantasy? Could the accounts of the Reptilians be more than just the product of overactive imaginations? Ancient astronaut theorists say yes, and as evidence they point to the legends of serpent gods that can be found throughout the world. In South America, Quetzalcoatl, Kukulkan they’re always referenced as serpent gods. Even in Japan or ancient China we have these dragon emperors and dragon gods. One can find these stories of serpent gods all around the world. In addition to myths and legends passed down through oral history, early written texts also speak of serpent beings that were once present on Earth. The Bible speaks of a reptilian race the Seraphim we read about them in the Book of Isaiah. Some will interpret them as being the fiery ones, but the correct understanding is reptilian. The book of Genesis has a story about a serpent who tempts Eve, the first woman, by offering her the forbidden fruit from the Tree of Knowledge. It is understood, in ancient legend, that prior to God punishing the serpent, the serpent was completely humanoid in character. And that this serpent was only one of a race of reptilian beings who served God. Throughout the Mediterranean and the Near East, there is a very strong belief linking snakes, skinks, lizards and other reptiles to supernatural or magical creatures and in some cases, to the souls of ancestors. In the Koran there’s a fascinating category of creatures known as the djinn. They were here before humans. They’re a category unto themselves, not unlike angels. And at one point Iblis, the leader of the djinn, offended God, crossed him, was rebellious and was cursed like the serpents in the Garden of Eden and became earthbound, trapped on Earth for eternity and they are here with us. The Los Angeles Times publishes an article entitled “Lizard People’s Catacomb City Hunted,” accounting the attempt by mining engineer G. Warren Shufelt to locate and excavate a maze of tunnels which he believed were beneath the streets of downtown Los Angeles. Warren Shufelt was a mining engineer and he invented a device that he called the radio x-ray to be used for gold mining and this device could find tunnels underground. And he actually created a map of the tunnels. Warren Shufelt had a sit-down with an Indian medicine man in Arizona who told him there was a Hopi legend that there was three cities on the Pacific Coast that were completely underground. The story goes that 5,000 years ago, there was a meteor shower, and these lizard people sought refuge underground. They dug these tunnels, and one of the network of tunnels was under the city of Los Angeles. According to the legend, the lizard people carved out vast chambers large enough to house a thousand families, using advanced technologies, such as a mysterious chemical that could easily bore through bedrock. Shufelt obtained permission from the city and began digging to try and reach the vast tunnel system. The city council, perhaps motivated by the alleged gold that was contained within the tunnels, allowed Shufelt to dig a 250-foot shaft, under the agreement that he would give them 50% of the treasure, if recovered. After a month of digging, and not reaching the tunnel system, Warren Shufelt and his team ran out of money and stopped the search. Is it possible that an advanced race of lizard people once lived underneath the western United States? And could they still be there today? Astonishingly, a nearly identical legend exists halfway around the world. Benares, India. Within this city lies the Well of Sheshna, which in Hindu legend is an entrance into an underground city of the Nagas, a race of semi-divine serpent people known throughout Eastern culture. Patala is the underworld in Hindu mythology. There are many beings that live in there, many reptilians, which are called Nagas. As a demigod, they must have descended from heaven to the Earth to teach, to give special qualities, to the human world. Nagas are not really evil, being as in Judeo-Christian context. Southern Iraq, 1923. British archaeologist Sir Leonard Woolley leads an excavation to uncover the remains of one of the oldest agricultural communities in the world the Ubaid culture, which dates back to 5,900 BC. Among the remains, they discover some unusual clay artifacts. strange, because they don’t really look human. They have the facial features of what seems to be reptiles. Is it possible that the Sumerians were depicting a race of beings that were living among them at the time? Mainstream scholars have debated the meaning of the statues since their discovery, thinking, perhaps, they were Sumerian gods. However, ancient astronaut theorists believe the statues could have a different meaning. They look very much like some kind of reptilian extraterrestrial. And they’re breast-feeding children and doing very normal human things that you wouldn’t think that gods would necessarily be doing. At The National Museum of Canada, paleontologist and curator of vertebrate fossils, Dale Russell, in 1982 publishes a thought experiment based on the trend toward larger brain sizes and the upright posture of dinosaurs. He proposes a theory about what one species of dinosaur would have evolved into if it had survived the mass extinction What he did is take the dinosaur known as Troodon, and they noticed the morphological changes – in the skeletal structure of the dinosaur. And based on, over time, where it was going, they extrapolated it out further. And strangely enough, or wonderfully enough, they actually came up with a model that resembled a humanoid reptilian being, which actually matched that of the reports that we were hearing now, as well as reports from ancient history. There are traditions in numerous cultures of reptilian bloodlines associated with royalty. According to legend, Alexander the Great was sired by a dragon. Japanese legends state the founder of the Imperial Dynasty Jimmu was the great-grandson of a dragon god. And in China, ancient emperors were described as having a dragon-like appearance. Is it possible these ancient rulers did have a more direct connection to reptilian ancestors? Are they still among us?